Looks rad! How did it end up working? Did you run into any problems with it? no it was pretty easy the swish plate is a little hard to get both eyes perfectly aligned. 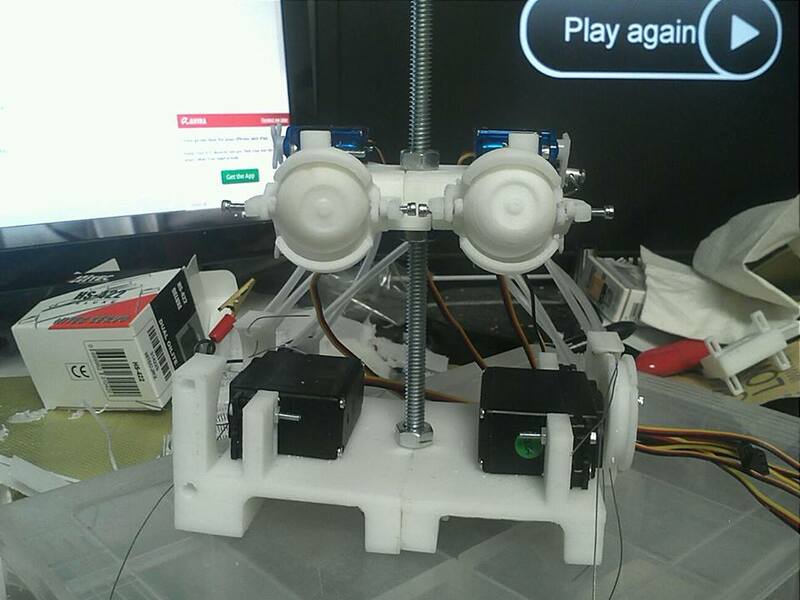 I think I may move up to 2 servos for each eye so that i can make some more refined adjustments to it. In the film industry we generally have a servo per move so that it can be easily adjusted In The radio. 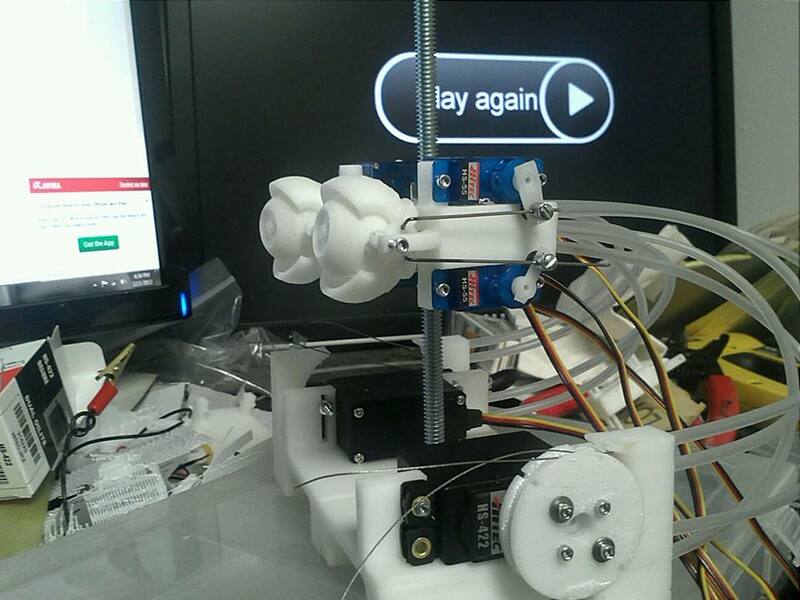 I did the design this way since I know servos are the expensive part of the project and many people can't afford to spend so much on them... Great work modifying the design! !